Furnace Repair & Installation Jackson WI | Save $50 On New Installations! On a cold winter day, the soothing warmth of a furnace in perfect working order creates a comfort level you can look forward to coming home to. 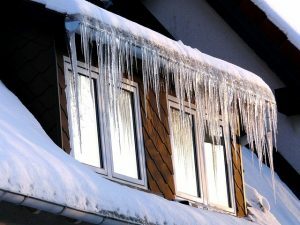 But when your furnace malfunctions, you’re mercilessly exposed to cold winds and freezing temperatures – it’s every homeowner’s nightmare. Fortunately, it’s easier than ever to ensure furnaces operates at full capacity throughout its entire life cycle - work with the capable team from Jackson Hardware Heating & Air Conditioning – the leader in furnace repair and installation throughout Jackson and surrounding areas. A furnace is one of the quietest and most sustainable heating systems for any home in a cold climate area. It operates on the principle of the Annual Fuel Utilization Efficiency (AFUE) – the higher the efficiency of the furnace, the more heat per unit of fuel it provides. A low AFUE is typically characterized by issues like inadequate heat or inability to adjust the indoor temperature. Calculate the energy savings you could see with a new Lennox furnace! 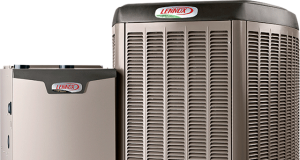 With full certification and training in Lennox-approved temperature control solutions, we specialize in the industry’s top home heating products. Lennox furnaces are specially designed for ideal warmth and substantial savings, with an AFUE at an impressive 98.7%. We proudly deliver advanced technologies that operate on maximum power at minimal noise for optimal comfort within your home. If your furnace has not quite reached the end of its service, you can count on us to get your home heating unit working at full capacity as quickly as possible, at an affordable price. At Jackson Hardware Heating and Air Conditioning, you’ll save money because we charge by the hour, rather than a “flat rate book price”. We are transparent and honest with customers - NEVER taking advantage of you by artificially inflating time. Our goal is to complete the repair as quickly as possible so you can get on with your day. Contact us today at (262) 677-3477 to see why just last year, 55% of our new customer service calls came from referrals. Don’t let a malfunctioning furnace ruin your day. We service furnaces in Jackson, Grafton, Cedarburg, Mequon, West Bend and throughout all of Washington and Ozaukee counties. We invite you to contact us today at (262) 677-3477 with any home heating system concerns.